The Troy 15″ Alpha Rail is the longest rail in the Alpha Series. Great for longer barrels or those who just prefer a long handguard. With unlimited mounting options and greater heat dispersion, the Alpha Rail once again sets a new industry standard in modular free float rail design. looks even better installed. Can't beat the price. 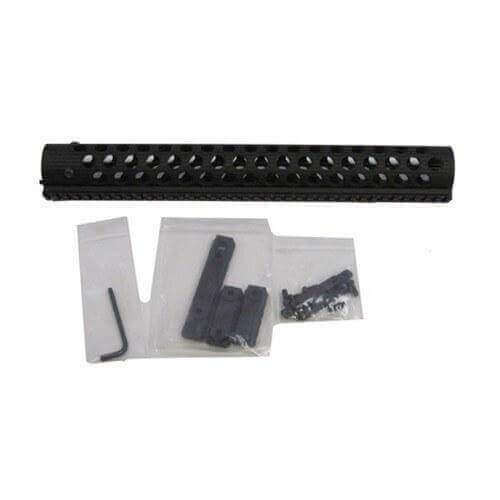 Actually I attempted to purchase a Troy Alpha Rail 15" Free Float Handguard, it was out of stock.